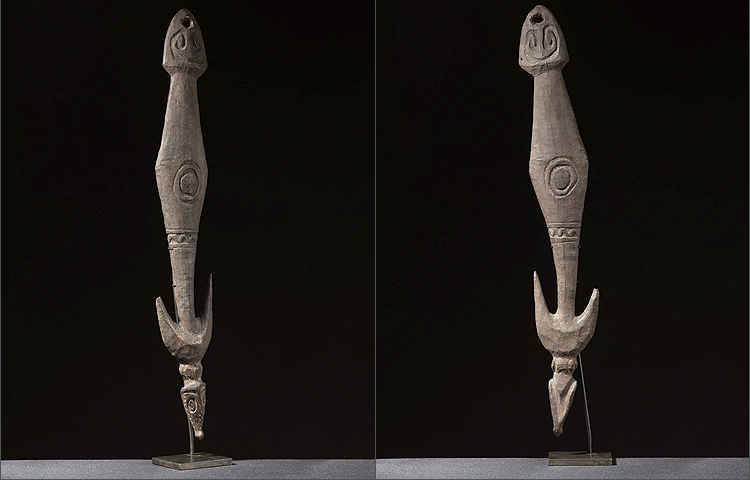 This is a perfect example of tribal art’s powerful influence on modern art. 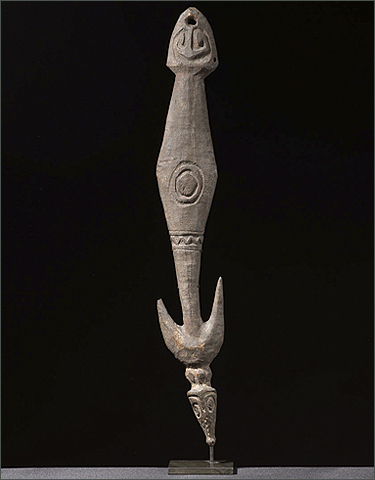 The carver of this hook was far ahead of his time. 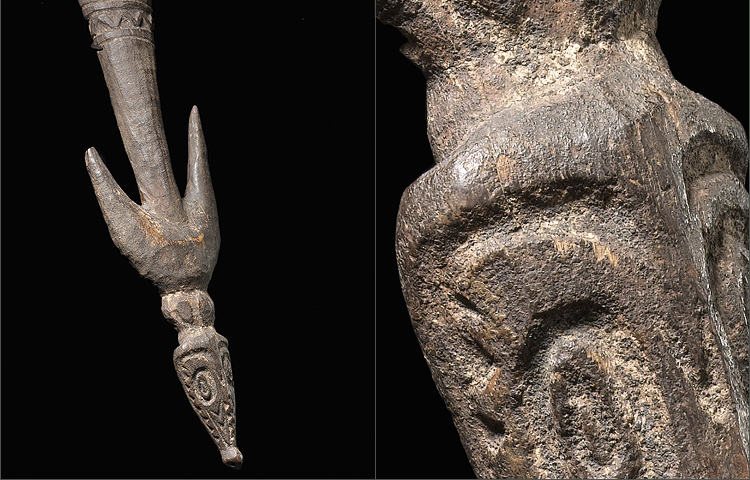 The form flows wonderfully, terminating into a well carved animal head. With great design and attention to detail this sculpture exudes presence. Being carved with non-metal tools the texture and patina is fine and aged from decades of use. This hook figure stand 27 inches tall.